Foodspiration: All Hail the Honeycrisp Apple- in a Spinach, Brie and Apple Panini! 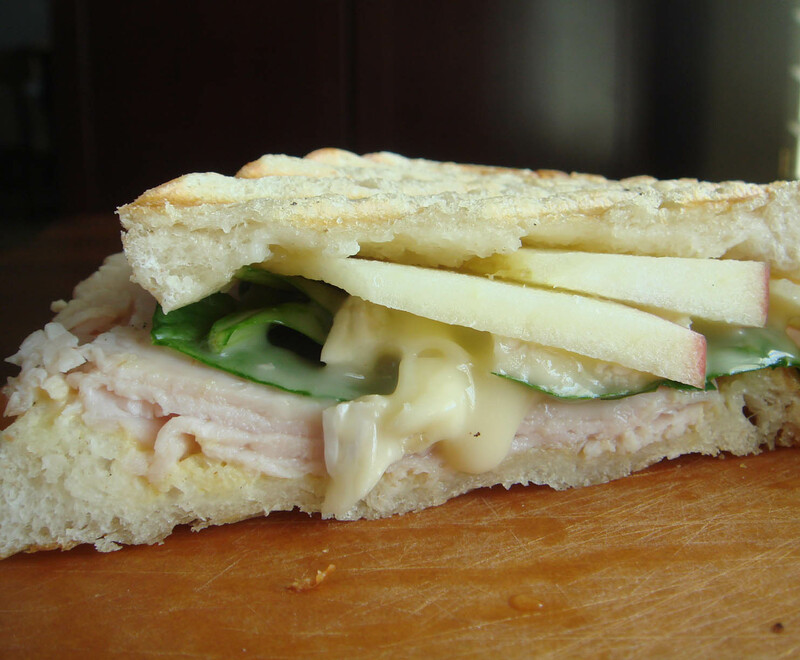 All Hail the Honeycrisp Apple- in a Spinach, Brie and Apple Panini! 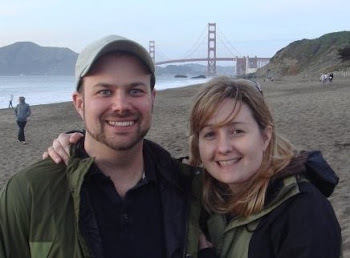 Ah, maternity leave in the first few weeks has been pretty busy with little time for blogging. 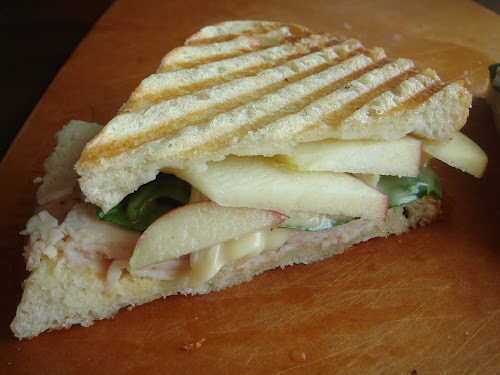 Many thanks to my mom for bringing over the ingredients for this yummy lunch that I thought was worth a blog post: panini sandwiches made with brie, spinach and honeycrisp apples. It's my favorite season right now, fall, and the time for apples! One of my favorites that we discovered when living in Minnesota is the honeycrisp. 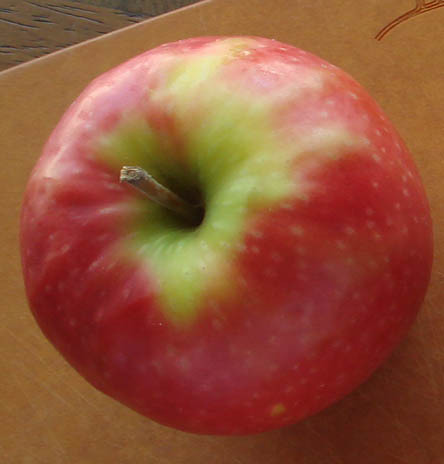 Honeycrisp apples were developed at the University of Minnesota and are known for their delicious flavor when eaten raw. If you've ever been to Minnesota, apples are a big deal and it's tradition to go to an apple orchard and pick or eat apples in the fall. If you go to the State Fair, you can see and sample many of the varieties of apples developed in Minnesota. We actually received our panini maker as a wedding present. It was one of several appliances that we registered for and of the toaster oven, ice cream maker, panini grill, and waffle maker- the panini maker wins hands down for the appliance we have used the most. 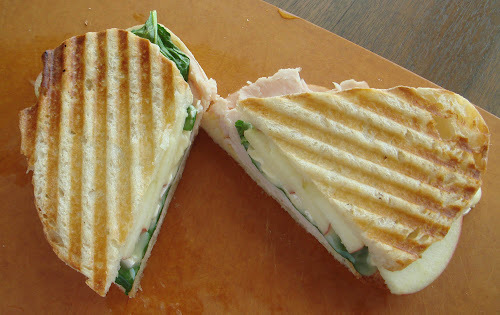 You might have read our post on the spinach, brie and fig spread panini...and this is a great "line extension" of that sandwich. So, to make this sandwich...start by buying some brie, spinach, good artisan bread ( French, Tuscan, etc) and some honeycrisp apples. Lay slices of the honeycrisp apples on one side and the cheese and spinach (uncooked) on the other. My mom also added turkey to some of the sandwiches but I prefer simply the cheese, fruit and spinach. And then, press! The gooey, creamy brie is delightful with the sweet and still a bit firm apples- the spinach- well, I just feel good about have a vegetable in this decadent sandwich. Thanks, mom! Hope you enjoy this sandwich...or at least a honeycrisp apple! So funny-I was just talking to someone apple season at work today! She was really excited about honeycrips apples. Can't wait to try! Your sandwich looks great! 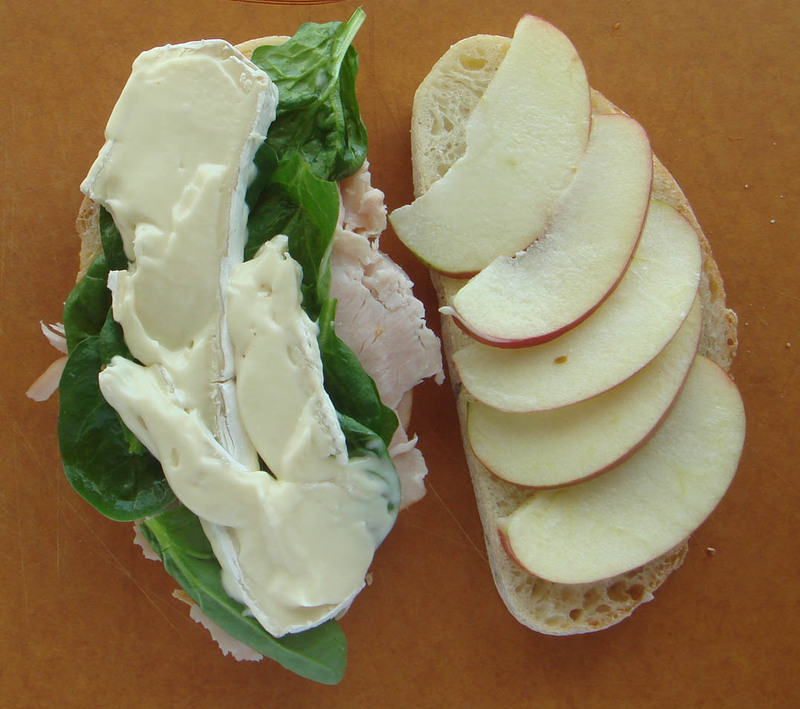 Perfect combo of brie and apples. yum!! I was introduced to Honey Crisps last year and have waited all year for the crop to come in. I found some a few weeks ago and then they disappeared. Well, yesterday I walked into the market and there they were -- featured at the entrance to the produce department. But ... they were HUGE! About as big as my head, or maybe the brain inside. They're good, but not as good as the normal sized apples. I am still thrilled to have them, but need to find the smaller, sweeter ones before they disappear for another year.